April 12, 2010 Adri H.
Thanks to the Tartelette Blog and her generosity in sharing recipes, I was able to make my own Poached Pear Souffle Cake. Both of us were feeling a bit sick and under the weather. The signs of spring were hiding behind the clouds and cold weather, until we went into the grocery store where there was a plethora of pears awaiting our consumption. 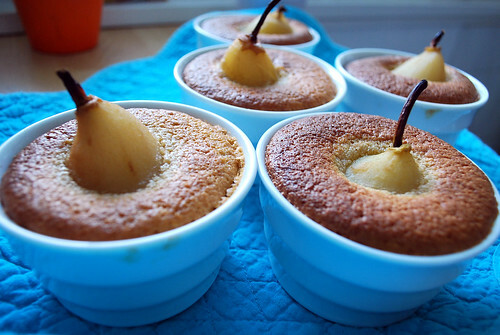 I immediately remembered Tartelette's recipe from back in December and grabbed six mini pears. So glad I did. 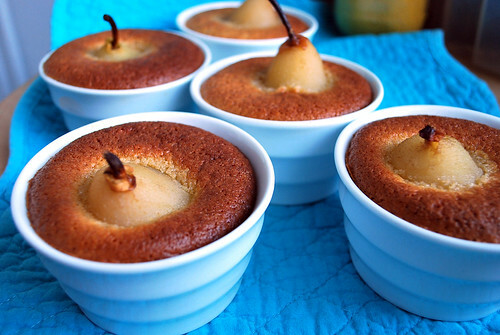 This is a really beautiful recipe with gluten-free alternatives. 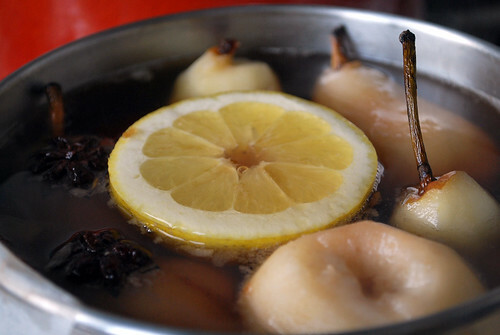 The smells from the poaching opened my sinuses and really were a relief! Thank you Tartelette for sharing your cooking prowess! !